NOTE THAT I HAVE EDITED THE CALL BELOW DUE TO GOOGLE SABOTAGING MY GMAIL ACCOUNT, PRESUMABLY TO TRY TO STOP US GETTING THE TEN MEMBERS REQUIRED TO BECOME AN OFFICIAL PLATFORM OF LEFT UNITY. I AM GETTING CONSIDERABLE SUPPORT ON FACEBOOK, PARTICULARLY SINCE I PUBLICISED A LOBBY OF TUC CONFERENCE NEXT WEEK, BUT STILL NEED A FEW MORE PEOPLE TO CONTACT ME IF THEY WANT TO JOIN, TO REACH THAT TARGET BEFORE THE CONFERENCE, AND PREFERABLY BEFORE THE MERSEYSIDE PEOPLE’S ASSEMBLY ON THURSDAY EVENING. TO HELP MAKE UP YOUR MIND, YOU CAN GO TO THE PUBLIC DISCUSSION GROUP OF THE REVOLUTIONARY PLATFORM OF LEFT UNITY OR PHONE/TEXT ME ON 07725 735255. [EDIT 31/10/13: THIS WAS A TEMPORARY PROBLEM WITH GMAIL. ALTHOUGH I STILL THINK IT WAS DELIBERATE, MY GMAIL ACCOUNT IS WORKING FINE NOW AND EMAILING ME AT steve.wallis2460@gmail.com IS THE BEST WAY TO CONTACT ME, UNLESS YOU WANT TO RING MY MOBILE (CELLPHONE) NUMBER ABOVE (NOTE THAT IT IS +44 7725 735255 FROM OUTSIDE THE UK). I have had an ongoing initiative to try to unite revolutionary socialists within broad socialist organisations since 2006, initially concentrating on the Scottish Socialist Party, but also with other organisations (including ones that are only vaguely socialist – Respect, Plaid Cymru and even Labour) via the Revolutionary Platform Network. The initiative was mainly on cyberspace (there were two web-based forums, both of which became overrun by spam, and there is now a page on Facebook with over 170 likes at www.facebook.com/RevolutionaryPlatformNetwork) and I produced a newsletter (to which I invited contributions but until a co-written article in edition 5 they just contained my own views) to distribute in the real world. The time is ripe now for something more serious. I have now come to the conclusion that Left Unity presents by far the best broad socialist organisation in Britain to unite revolutionary socialists in, and encourage others to sign socialist film director Ken Loach’s statement at http://leftunity.org (which over 9,000 have already done, more than the rest of the far left in Britain put together) and sign the Revolutionary Platform statement (by messaging me at Facebook or emailing me as specified below). I am putting out a draft statement of a proposed new platform of Left Unity, called the Revolutionary Platform (RP). The idea is to unite as many genuine revolutionary socialists as possible within LU in a single platform, to try to overcome the problem which occurred with other broad socialist organisations (including the Scottish Socialist Party) of rival revolutionary organisations competing with each other within it rather than cooperating around shared goals. I recognise that there have already been steps towards revolutionary regroupment, including discussions between the AntiCapitalist Initiative, International Socialist Network and Socialist Resistance (http://anticapitalists.org/2013/07/10/taking-steps-towards-revolutionary-unity/), but note that SR are lukewarm about LU. The Socialist Platform of LU is almost a revolutionary platform, but where it says (in point 1) “Its aim is to bring about the end of capitalism and its replacement by socialism”, it fails to specify whether that can or should be achieved by revolutionary or reformist means. I’ve kept the statement deliberately short, avoiding stating the obvious – such as opposition to discrimination, sexual assault and harassment, attacks on welfare (such as the bedroom tax and council tax bills for the unemployed, dubbed “the new poll tax” by some) and organisations like the BNP and EDL. I’ve set up a Google Group to which I will add anyone who contacts me to sign the platform – this group can be used to flesh out other policies and decide on strategies for action within LU (particularly at the 28 September policy workshop conference and the 30 November founding conference in London) and on the internet and in the outside world. If you want to sign this statement, please message me at my Facebook account or email me at revolutionarysocialiststeve@yahoo.co.uk with the same name and email address you used to sign Ken Loach’s appeal to become a supporter of Left Unity (go to www.leftunity.org/appeal now if you haven’t previously to sign it). [Note that Google has sabotaged my gmail account so most messages don’t get through, even to my spam folder but that my Yahoo account is reliable due to not being based in the USA. Hotmail users have had problems in the past with political censorship by Micro$oft, and hotmail.co.uk accounts are based in the USA despite their addresses.] We need 10 members to become an official platform with the ability to put forward motions at the November conference. 3. Involvement in the Revolutionary Platform would not preclude involvement in other platforms – we recognise that there are many things we would agree with in the Socialist Platform (http://leftunity.org/socialist-platform-statement-of-aims-and-principles/) and Class Struggle Platform (http://leftunity.org/the-class-struggle-platform/). 4. The Left Party Platform (http://leftunity.org/left-party-platform-statement/) says little that is contentious, and is based on lowest common denominator politics, which has already been tried in the Socialist Alliance and Respect with unspectacular results – except in areas where well-known candidates, particularly Dave Nellist and George Galloway, have stood, and we believe they could have done equally well on a more revolutionary programme. 8. A second credit crunch, which this time would mean that capitalist governments would be literally unable to bail out the banks even if they wanted to, could happen at any time, and we need to be more prepared than at the time of the first credit crunch and use such an opportunity to seize power via an international socialist revolution. This entry was posted in Economy, Revolution, Strikes and tagged Anti-capitalist Initiative, banks, Class Struggle Platform, credit crunch, International Socialist Network, Left Party Platform, Left Unity, Respect, Revolutionary Platform, Revolutionary Platform News, Scottish Socialist Party, Socialist Alliance, Socialist Platform, Socialist Resistance. Bookmark the permalink. I have put Revolutionary Platform News edition 5 (dated 12 July since two of us first distributed it at Marxism 2013) on the new http://www.revolutionaryplatformofleftunity.org website (on which I’ve also posted the above Call), at http://www.revolutionaryplatformofleftunity.org/news/5.html. Copies can be printed out for photocopying and distribution from the bottom of that page. There has been a tendency for far left parties/organisations to set up their own fronts against austerity – cuts affecting ordinary working and middle class people (loosely the 99%) as well as tax rises also affecting the 99%. Tax rises have been less of a feature of the ConDem – Conservative (Tory)/Liberal Democrat – coalition government, despite the huge budget deficit which would make big rises inevitable if they were serious about tackling it. Instead they’ve cut some taxes – the Lib Dems trumpet their only major manifesto commitment to be implemented (ending income tax for those earning under £10,000 a year) but the main tax cuts have been for those earning £1,000,000 plus a year (that Labour keeps going on about) and on levels of corporation tax (which I’ve never noticed Labour leaders oppose, presumably because they would do similarly in power, trying to outcompete other capitalist economies in a race to the bottom). At last year’s Trades Union Congress (TUC), a motion to consider the practicalities of organising a general strike was overwhelmingly passed. Disgracefully, most of the union leaders have ignored that motion. Around 4,000 people attended a People’s Assembly in London in June 2013. Local People’s Assemblies are the best opportunities for uniting the left and creating a mass movement (which could take off now that the SWP have decided to take that initiative seriously rather than concentrating on Unite the Resistance, despite these Assemblies being an initiative of Counterfire which split from the SWP in 2010). This would put pressure on union leaders to act, but don’t simply sit back and wait! A mass demonstration outside the Tory conference on Sunday 29 September (Manchester Central, 10am) will be the first big initiative of the Assemblies, to be quickly followed by local direct action protests on Saturday 5 November. It is not enough to oppose the cuts – we need to put across an alternative. Seriously tackling tax avoidance and evasion would help, but the Tories won’t act against their friends in the City (hence Chancellor George Osborne’s claim that they could save £1 billion from tax evasion, when conservative estimates suggest £25 billion could be saved by a serious crackdown and some estimate the level of tax avoidance at £120 billion a year). Unfortunately, many left-wingers propose Keynesian solutions which wouldn’t work because the markets would wreck the economy. We mustn’t be blackmailed by them but argue for a socialist revolution. After the October 1917 revolution in Russia, the new Bolshevik government refused to pay debts accrued by the previous imperial regime; we shouldn’t just do similarly when the time comes but warn small investors that their “risk free” bonds/gilts are anything but before we take power! 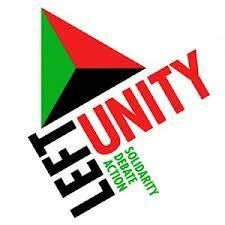 Left Unity (LU) is film director Ken Loach’s initiative for a UKIP of the left, which could perhaps become an equivalent of Syriza in Greece, and finally unite “the 57 varieties” of far left grouping, has started to attract mass support (rapidly attracting over 8,000 supporters, more than the rest of the far left combined). The biggest danger with LU is that it merely adopts lowest common denominator Keynesian policies, which wouldn’t work as explained above. The involvement of revolutionary socialists within LU, perhaps as part of a Revolutionary Platform (to unite LU members who want revolutionary policies reflected within LU’s programme), could prevent this from happening. A good sign is that SWP and Socialist Party members are getting involved (but not dominating). On 13 September 2011, David Cameron announced that Job Seekers Allowance (JSA) claimants who don’t learn English may lose benefits. Instead of actually providing the English courses that many immigrants would have welcomed to go on, the funding for them was drastically cut. Lo and behold, George Osborne made the same announcement in the Comprehensive Spending Review on 26 June 2013 (which would only be implemented in 2015). The Tories are keenest on demonising foreigners to pander to Middle England. Cameron and his party hope to woo former Tory stalwarts away from the clutches of UKIP and back into the fold. Even though this was not law, one of us (Yas) witnessed a white Senior Job Advisor to say openly to an Asian male: “Why should we pay your benefits if you can’t speak English?” This may have been due to a lack of training but she certainly seemed to lack compassion! It may also have been due to recent job cuts, which has wastefully required less trained agency staff to be taken on (to cope with clients being moved from Incapacity Benefit to JSA, for example) – but it does serve their purpose of reducing the power of trade unions (particularly useful in the case of job centres since their union, the PCS, is a left-wing one). Divide-and-rule has long been an important strategy of right-wing parties, right-wing newspapers and the class they represent (big business), probably since capitalism first existed. The Tories have particularly used it to divide British people from foreigners, and unemployed people from those in work (“shirkers” versus “strivers”). The English Defence League (EDL) specialises on dividing Muslims from non-Muslims but mainstream parties and newspapers indulge in it heavily too, and “Islamic extremists” play into their hands. The revelations by whistleblower Edward Snowden of the (previously) top secret PRISM programme, run by the National Security Agency in the USA, gathering and analysing massive amounts of data gathered about everyone on the planet (but less for US citizens) including the contents of phone calls, Skype calls, emails, Facebook activities, web searches, and their collaboration with “national security” centres like GCHQ in Britain has unsurprisingly caused a huge storm amongst people concerned about civil liberties. The usual excuse is that if you’ve done nothing wrong, you’ve got nothing to fear. Our governments tries to justify PRISM and similar surveillance by GCHQ in Britain as the most effective way of stopping terrorism and organised crime, but the real aim is to stop a genuine democratic socialist society from being created (with its creation, hopefully through a peaceful revolution, inspiring further revolutions across the world). As Australian investigative journalist John Pilger has also pointed out, the sort of society PRISM is leading to is best described as fascist. Perhaps we should be more concerned about what our governments are doing to remove our freedom to try to change society than combating the likes of the EDL and British National Party. Of course there is little point in governments accumulating huge amounts of data about us unless they can use sophisticated artificial intelligence (AI) techniques to analyse the data and act on it in some subtle and not so subtle ways to achieve their desired outcomes. Two articles in the Guardian about such algorithms concur with what I know my AI/simulation language SDML could potentially do, albeit on a much smaller scale. For more info, visit my blog ThatcheroftheLeft.wordpress.com (go direct to tinyurl.com/prismpurpose). Why “Revolutionary” Platforms? There isn’t a mass revolutionary consciousness in Britain, with millions of people believing the government needs to be overthrown and replaced by a socialist society, yet, but if nobody argues openly for revolution there probably never will be. The economic crisis in the eurozone could well lead to a second banking crisis around the world and we need to be prepared this time. Visit the Revolutionary Platform Network page at http://www.facebook.com/RevolutionaryPlatformNetwork. “To me, a revolution is so much more than this: it starts before this seizure of power, usually significantly before, and continues long after it, because the whole gamut of social relations of production – everything involved in the way we live – would change fundamentally. Definitions that focus only on the seizure of power leave the broader process open to abuse and distortion; control by forces that have taken control of the state in this way has often resulted in oppression and dictatorship in the name of the working class. This criticism is reasonable, although I think the emphasis on class struggle when only 24% regarded themselves as “working class” in 2011 (http://britainthinks.com/sites/default/files/WorkingAboutTheWorkers-print.pdf) is problematic (though I agree with Marxists that many who think of themselves as middle class are really working class, and I also agree with Marxists that the ability of workers to withdraw their labour is key to overthrowing the rule of big business – hence mentioning a general strike). I tend to prefer the Occupy movement’s 99% versus 1% idea, and the aim of uniting most middle class people with the working class in order to carry out socialist change. To facilitate such debates, I have created a public discussion group (unmoderated except for spammers) at https://groups.google.com/d/forum/revolutionary-platform-of-left-unity-public-discussion. The group for those who want to join the RP is at https://groups.google.com/d/forum/revolutionary-platform-of-left-unity.